A wonderful creeping and cascading mass of tiny silver leaves 1/4" across. 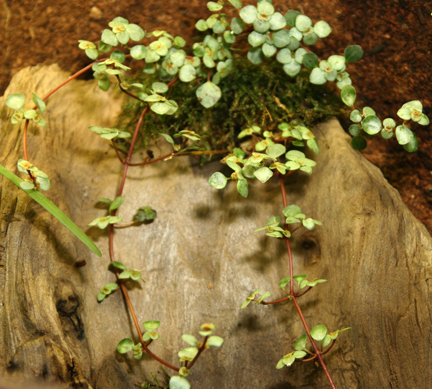 Easy to grow in terrarium conditions with well drained substrates. Available plants are growing in 3" deep pots. Philodendron oxycardium var. micans "Velvet leaf vine"